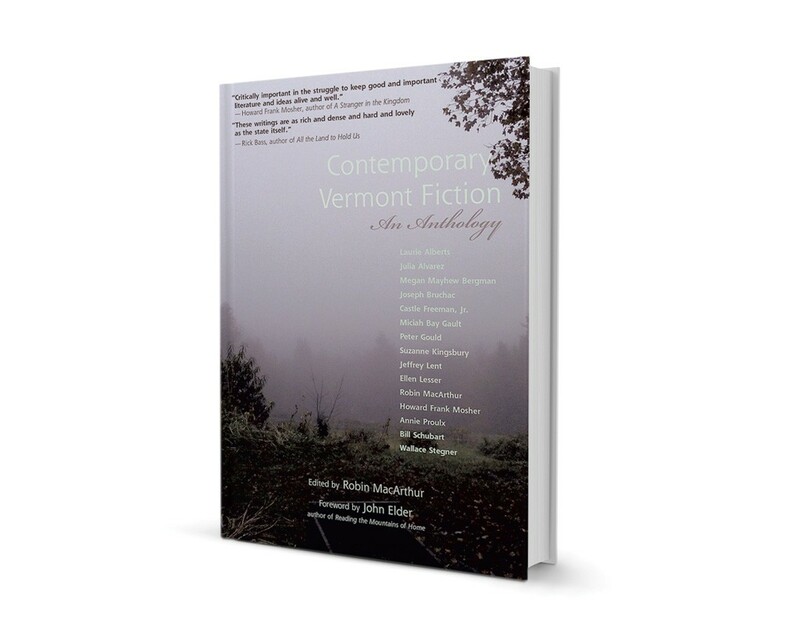 Contemporary Vermont Fiction: An Anthology, edited by Robin MacArthur, with a foreword by John Elder, Green Writers Press, 244 pages. $19.95. Ski slopes, microbreweries and farmers markets make no appearances in writer and anthologist Robin MacArthur's literary rendering of Vermont, and Burlington is merely a place with a bus stop. As an Ivy League undergraduate, MacArthur grew frustrated when her classmates envisioned her home state as "a complete pastoral, Ben & Jerry's peaceful haven, or a place where people had summer homes," she says in an interview. Now writing from her family farm in southern Vermont, MacArthur seeks to counter that tourist-friendly, "branded image" with a more nuanced portrayal of the people and land of Vermont. The result is Contemporary Vermont Fiction: An Anthology, new from West Brattleboro's Green Writers Press, a collection that MacArthur edited, contributed to and provided with a cover photograph. All stories take place in the Green Mountain State, and all 15 contributors live or have lived there at least part-time, including Annie Proulx, Howard Frank Mosher, Wallace Stegner and Megan Mayhew Bergman. Although some readers might lament the lack of Grace Paley, Katherine Paterson, Jamaica Kincaid or Chris Bohjalian, Contemporary Vermont Fiction effectively promotes reading a wider variety of Vermont authors. MacArthur says she chose the contributing authors and their stories for both beauty and diversity, especially of the characters they depict. "I wanted to have voices of migrant workers, hippies, homesteaders, the voices of African Americans who had come here during the Civil War, the voices of French Canadians," she says — along with representing the state's youth and equal numbers of women and men. Most characters are working-class. The most engrossing story in the collection, "Home Place" by Jeffrey Lent, is smartly excerpted from his stunning 2000 novel In the Fall. In the excerpt, two African Americans who were born into antebellum slavery struggle to make sense of the homes they lost, what they escaped and what they accept for lack of better options. As a group, the stories in the collection eschew romanticized visions of middle-class, local-cheese-eating liberals, or of rugged farming families who are cheerful despite having no money. ("Hardscrabble" word count: one.) Instead, abandoned orchards in these pages hold the stories of how farmers lost their land and their spirits. In Stegner's "The Sweetness of Twisted Apples," this is the setting where travelers later drive their nice cars to pick their fill of apples, paint the scenery and learn the local history from locals they feel uncomfortable around. Youth yearn to leave this landscape, immigrants struggle to come and poor folks are stuck where they are, losing their family homesteads. Although many scenes and experiences are empathetically and vividly rendered in Contemporary Vermont Fiction, this is not a collection that will make readers feel warm by the fire. There are seven deaths, two disabling accidents and two dying mothers within the 16 stories; the collection concludes with Howard Frank Mosher's story of a veteran and trapping guide slitting his wrists and dying in a bog. Many of the characters harbor a love for the land that is eclipsed by the pain of regrets, decades of loss and bitterness, and the desperate desire to lead a life with less struggle. The characters in Annie Proulx's "Electric Arrows" are as viscerally hard and sharpened as the title suggests; to read the story is to watch a stranger spitefully spit on the ground while making eye contact. Of the collection's bleakness, MacArthur says it's a "reflection of my own personal view of the world and biases." A musician with local duo Red Heart the Ticker and an MFA graduate of the Vermont College of Fine Arts, MacArthur has published fiction and essays in journals such as Hunger Mountain and Shenandoah. Her contribution to the anthology is the short story "Wings, 1989," told from the perspective of a teenage girl who awakens to the misery of her parents' spent dreams and their emotional, financial, and relational struggles. There is some hope in the collection. Julia Alvarez's "A Light Out: A Vermont Story in Five Voices," written specifically for the anthology, uses rotating narrators to tell the story of a quietly brave family that emigrates from Chiapas, Mexico. The tale reminds readers of the vulnerability and courage of immigrants, and that poverty and prosperity are not defined everywhere as they are in the United States. "Here, everyone must be rich because every house and building has, not one light, but lights in many windows!" narrates a young girl as she rides into the Vermont countryside after a three-month journey from southern Mexico. Peter Gould's "Horse-Drawn Yogurt," which comes with a disclaimer describing it as mostly nonfiction, adds a welcome sense of humor and lightness to the anthology. Gould writes about back-to-the-landers who came to Vermont in the '60s and '70s, and found their idealism eventually overcome by the lure of imported vegetables in February and other delicacies of consumer culture. In this story, as in a few others, a harsh winter storm changes what is thinkable for a day, or for a lifetime. Despite, or perhaps because of, the sense of desolation some of the stories evoke, MacArthur says she hopes the anthology will expand readers' understanding of the layers and interconnections of this state and its different people. Green Writers Press, where MacArthur worked on this collection as an editor, professes a mission of environmentally sustainable publishing. The editor writes that she shares the publisher's mission to develop connections between activism and art that will foster empathy and a desire to conserve the land. "By making art about places, you engender love for places, and I am a big believer that loving places is key to ensuring sustainability," MacArthur says. The original print version of this article was headlined "New Fiction Anthology Offers Uncommon Visions of Vermont"
Molly Zapp writes about food, culture and art. She lives in northern Vermont and Montréal.